Hand-carved, wide-eyed, each little owl is uniquely irresistible. Because the brown owl is natural cobblestone, expect slight variations in color. About 5" high. 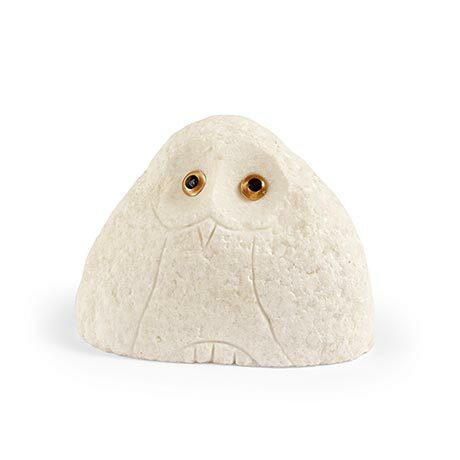 Snowy white owls are marble and stand about 2" high (small) and about 3" high (medium). Shapes will vary. One is wonderful; all three make a collection.